Looking for a little bit more information to plan your epic Montana adventure? Here are a few links we hope can help you discover the inspiration for Hope County. Still not sure where to start? Give us a call—our expert (and very friendly) travel associates are ready to offer you the best travel tips and tricks. 1.800.879.1159. 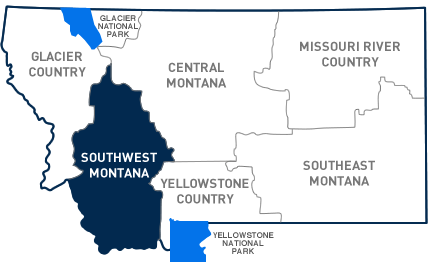 Select a category below to learn more about traveling to Southwest Montana. Thinking of taking a road trip? Montana has 6 geographic regions to check out once you’ve explored Hope County. Select a category below to learn more about planning your trip to Montana.